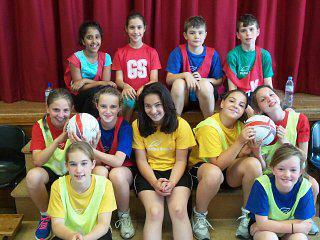 On the hottest day of year, the Botley School netball team reassembled to play a friendly match against West Oxford. Both teams play phenomenally well, considering the heat, displaying some great defending and great attacking skills. At the final whistle Botley had won one game 5:1 and lost the other game 0:1. All members should be extremely proud of how well they played and represented the school.